Technology has taken over most industries in the world today. The healthcare sector, in particular, has been transformed tremendously as most hospitals have put in place digital solutions and measures that have digitized healthcare operations. The digitization process has been very beneficial to most healthcare institutions, including the fact that it has streamlined operational procedures in healthcare facilities. However, going digital has also come with some additional challenges that require healthcare facilities to implement strong security measures to plug vulnerabilities. Additionally, research reports 64 percent of healthcare facility workers have found digital healthcare solutions resourceful in capturing, storing, and retrieving patient data. Such a transformation has made it possible for healthcare staff to ease their burden while improving the patient-doctor relationship. The concept of digitization of the healthcare industry has led to the creation of a revolutionary idea of telehealth where medical services are provided through mobile and other digital platforms. By using video-based communication platforms, it is now possible for medical personnel to conduct psychiatric assessments where a remote diagnosis is possible. 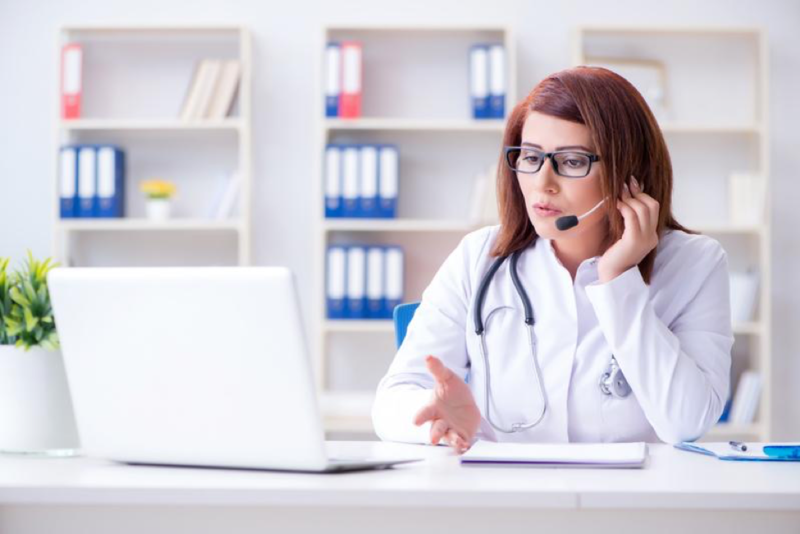 The concept of telehealth has facilitated healthcare operations in the US Department of Veteran Affairs where patients with possible post-traumatic stress disorder can be served remotely. Telemedicine can transform healthcare operations tremendously by increasing the patient turnover rate. Data sharing is crucial for ensuring smoother healthcare operations. The digitization process has eliminated the need for paper-based data capture which is much slower and cumbersome. With digital platforms, sharing of patient data has become more straightforward. An office that has converted to digital records and charts can maintain all patient records electronically. This, in turn, saves space, resources, and time. Despite the benefits of going digital, computerized healthcare platforms are more at risk of significant cybersecurity issues like hacking and having data taken hostage by ransomware. The illegal access of patient data can have negative consequences on the reputation of healthcare facilities while attracting additional legal (and financial) repercussions. Sensitive patient data obtained by hackers could be leaked to the public and used for malicious intent. To address the problem, healthcare facilities are working with technical experts to develop strong cybersecurity counter measures to protect the integrity of patients’ electronic data. In conclusion, the healthcare sector has significantly transformed its operations along digital lines over recent years. This transformation has made it possible for healthcare providers to serve patients remotely while easing the process of capturing and storing patient data. The communication between healthcare facilities and patients has also been revolutionized tremendously. The downside to these advances is that facilities now have to deal with the issue of cybersecurity that could threaten patient data integrity. Need help with healthcare technology in your facility?